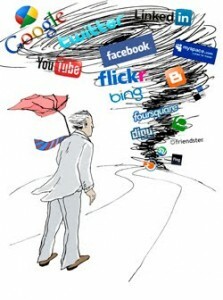 One would think, in 2013, anyone who does social media professionally has this whole social web figured out. 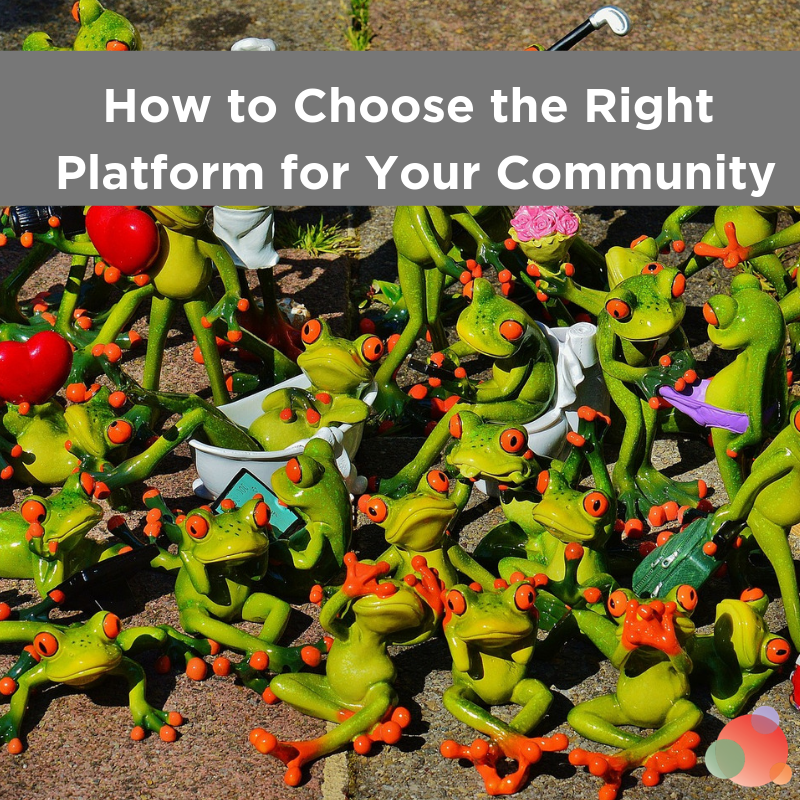 Particularly when one works for a big brand that has hundreds of thousands of customers who know how to use Facebook and Twitter. But I guess we know what happens when one assumes. 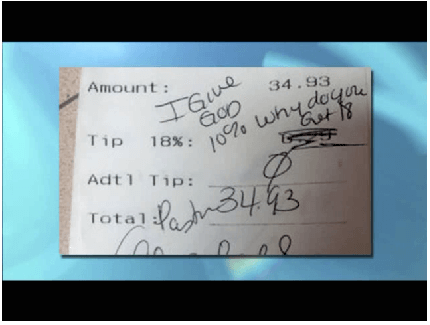 “A waitress at a St. Louis Applebee’s lost her job for posting online the receipt upon which a pastor had declined to leave a tip, with a snarky note saying she gave God 10 percent. “After her dinner on Jan. 25, Pastor Alois Bell crossed out the automatic 18 percent tip charged for parties of more than eight. “I give God 10% why do you get 18,” she wrote above her signature. Alright. 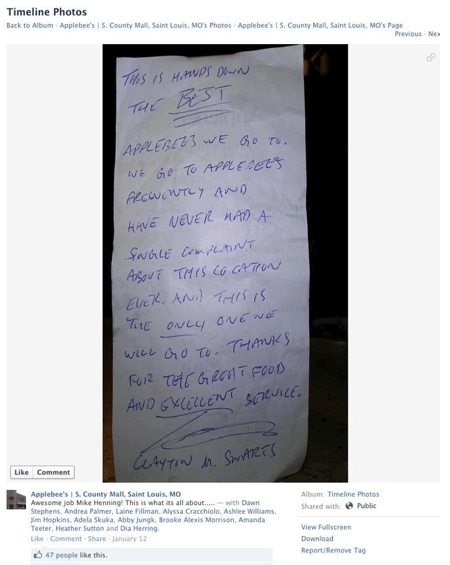 So the friend of the stiffed waitress gets fired for posting a copy of the receipt on Reddit. And it’s pretty crappy someone won’t leave a tip (though the pastor claims she left cash, which has not been confirmed), especially for a large party and because she disagrees with the percentage, not because the service was horrendous. But that’s not the story. The story isn’t even the rage people felt as they took to the web to demand the waitress get her job back, creating “Rehire Chelsea Welch” groups on Facebook. 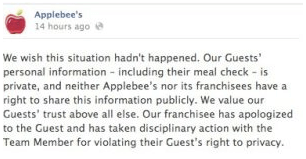 The story, the marvelous train wreck of a story, is in how Applebee’s responded. I don’t disagree the waitress should have been fired. If it’s against their policy and violates the guest’s right to privacy, so be it. That’s a fireable offense. Around midnight on Friday, the issue began to really take steam and people began commenting back about the hypocrisy and double standard. But here’s where is gets good: At 3 a.m. (yes, in the middle of the night), whomever controls the Applebee’s Facebook and Twitter streams began commenting to people with a clearly pre-approved message that tells their side of the story. However, it was posted as a comment on the original status update on their page and, with more than 17,000 comments on there, it quickly got lost in the shuffle (note to anyone managing the social networks: If you have to provide a statement, do it as a new status update). It, of course, was impossible to find after five minutes because, apparently, people sit up all night to post on the social networks. Side note: Do people do this while they’re drinking? After they get home from the bars? If they have insomnia? Because the statement was impossible to find, the person handling the account began to tag the people who were commenting and copying and pasting the message explaining the situation. I won’t detail the rest of the story (you can see it, images and all, in this photo essay), but Applebee’s began to argue with people around 4 a.m. And by 5 a.m. on Saturday morning, there were thousands of comments. As of this writing, there are nearly 33,000 comments combined on the first update that explains why the waitress that was fired and the second update that pretty much says the same thing (but uses “regrettable” about a thousand times in the one paragraph). People are still commenting and, now, there is no response from the company. Some people are saying comments have been deleted, but it looks like they hid them and other posts from their stream. 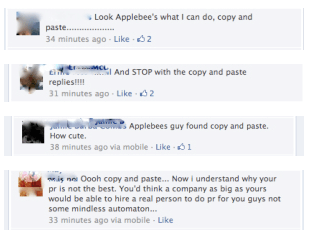 It does, however, look like they’ve deleted the Applebee’s comments from Friday night/Saturday morning. If this had happened three years ago, I would have approached this blog post differently. Today, I look at things with a different perspective and I want to try to put myself in their shoes. 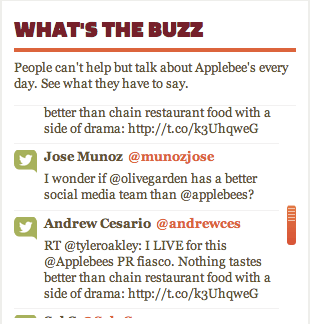 First of all, I would hate to be Applebee’s PR firm right now. My guess is – based on the middle of the night comments and the tagging and the arguing and the copying and pasting – the person who manages the page did all this on their own. I would be furious with them if they were one of our clients. That said, this could have happened to any one of us. We have clients who I separate myself from the day-to-day for the sole purpose of being able to think about the things that could happen to them. You can’t prevent it, but you can manage it. If you missed Mike Mullet’s post here last week, he talks about how you never hear about a well-managed issue. He’s right. If this had been handled differently, it would have been a well-managed issue no one heard about instead of a crisis. 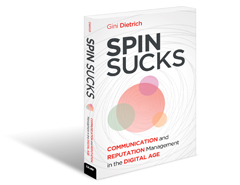 Please, please, please have someone on speed dial who is a communications expert. They don’t have to be on your staff, but please become BFFs with someone who does this for a living. Just because someone uses social media really well, does not a communication expert them make. Think before you react. This is emotional. Someone is attacking you or the place where you work. It’s hard to be objective. Do it and don’t let your emotions take control. 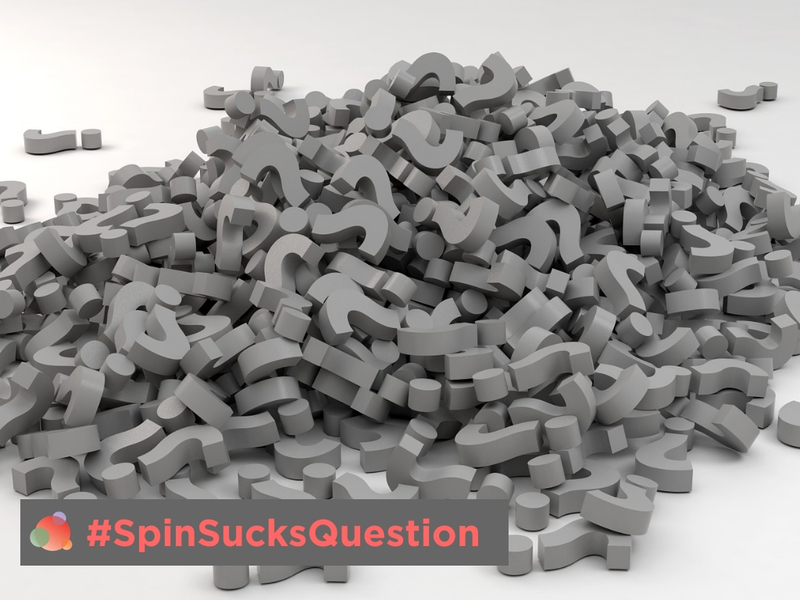 If you hold a position on something (it’s against our policy to post a guest’s name) and you’re proven wrong (when it’s good feedback, it’s okay to post their name), reassess your position. 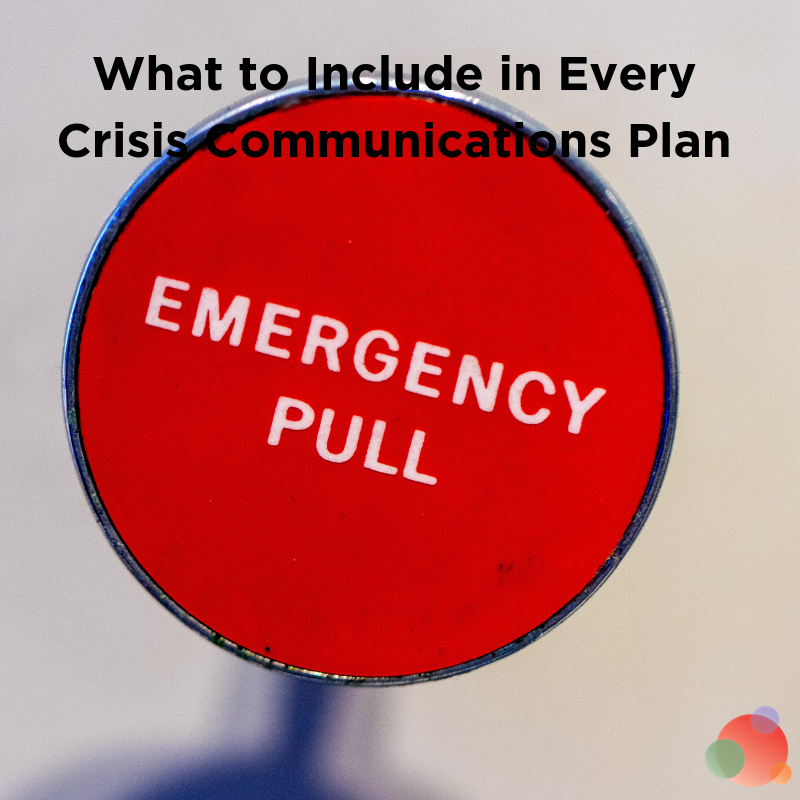 Empower people to communicate via the social networks, but have a strict policy in place when it comes to crisis. There is no reason, on earth, this person should have been posting in the middle of the night, tagging people, and arguing with them. Yes, the crisis control meant a team had to work the weekend, but not in this manner. Remember two little words go a very long way: I’m sorry. Use them and mean it when you say it. 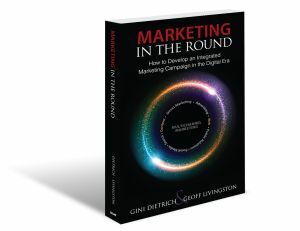 Did I mention having a communications expert on speed dial? 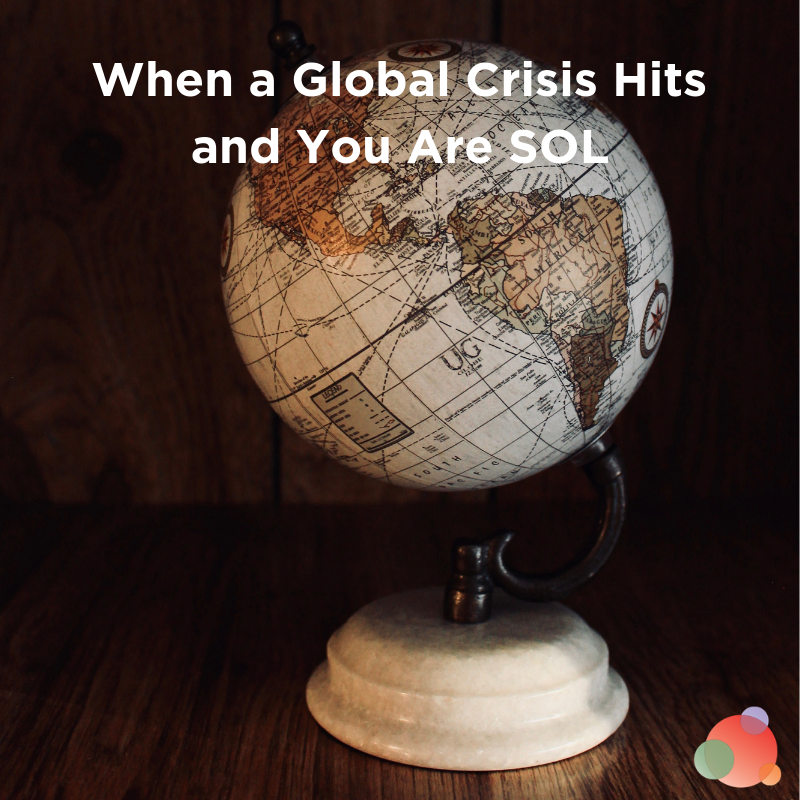 If you take these six (okay, five) things to heart and implement them, the issue never becomes a crisis.